Sorry in advance - this post is not going to be very wordy. My big RN exam is on Wednesday so I'm trying to cram in as much studying as possible. Just wanted to share with you this bit of baking I did over the weekend for John's birthday celebration! Being a big fan of fishing I went with a fishing theme. All you need is a few boxes of rainbow chip cake, some Swedish fish, vanilla pudding for the fishing hole (and blue food colouring - lots of it, especially if your pudding has a yellow tint), and some rock candy (I found mine at Sugar Mountain). 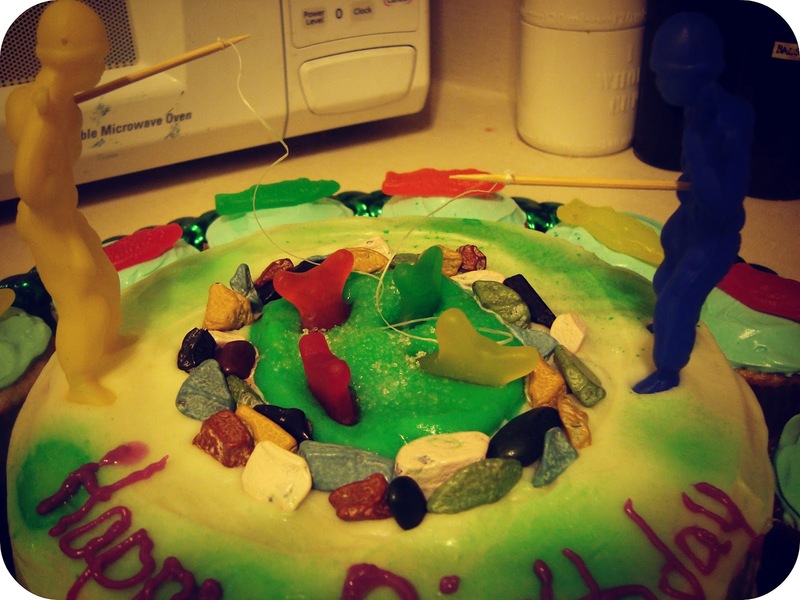 Stab a few paratroopers with toothpick-fishing rods, tie some dental floss onto them and dangle those bad boys into your fishing hole. 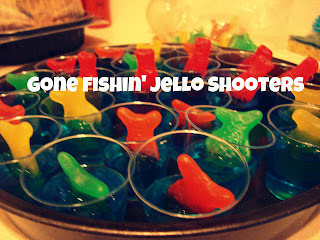 And if you're drinking at your party make some jello shooters complete with Swedish fish. Now back to learning all about pregnancy and pregnancy-related health conditions! 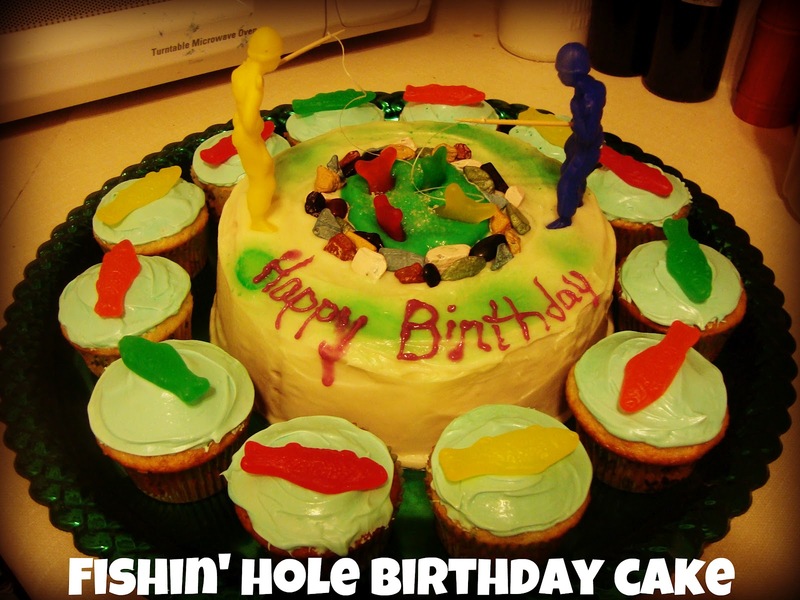 what a lovely idea, I really enjoy themed birthday cakes. I didn't know Swedish Fish Candies though. They look funny.